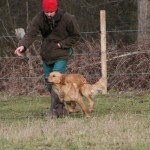 Working Golden Retriever Stud Dog. 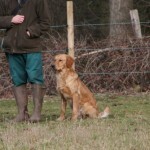 Angus – Soinneanta Capercaillie is our new up and coming Working Golden Retriever stud dog. He is the son of none other than Flint – Haddeo Thesfus of fallowfen. Like his dad he has a fantastic temperament and honest ways. 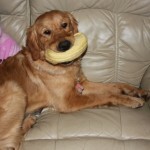 Angus is a soft outgoing Golden retriever with good working ability. 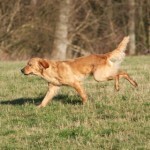 His training is coming on strong along side his older companions.